Downsizing or snow birds.... 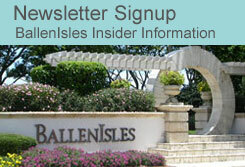 This is a great way to enjoy ballenisles! Three bedrooms and two baths. Recent upgrades include, new roof (2015), new pavers, newer appliances include maytag washer/dryer,gas stove, gas water heater, refrigrator, dishwasher, instant hot water, garbage disposal,( 5) ceiling fans, screen enclosure and storm shutters! Light and bright with tile floors in living room, dining room, kitchen, breakfast room , laundry room and halls. Granite counters in kitchen. This home does not have any club membership. Buyer must purchase a minimum of tennis memb. And may upgrade to sports or full golf. Furniture is negotiable. Great buy! Located close to amenities and pga entrance. Don't miss this perfect opportunity to enjoy new and gorgeous club house!